But the report says while improvements have been made, there is still work to do to meet the 33% target of female representation across boards and executive committees by 2020, set by the Hampton-Alexander review. The report is by WiH2020, standing for ‘Women in Hospitality’, an independent body supported by firms including PwC and the MBS Group, to assess progress since gender pay reporting became mandatory in 2017 for companies with more than 250 employees. It shows the percentage of women in board level positions at FTSE 100 hospitality, travel and leisure companies increased to 32%, up 3% from 29%, slightly better than the cross-sector average of 30%. 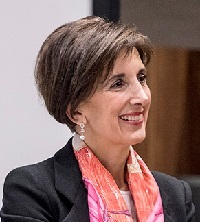 WiH2020 chair Tea Colaianni said: “The FTSE 100 is one of the strongest performing groups of the hospitality, travel and leisure sector for gender diversity and the improvements they have made mean they are just shy of meeting the 33% target for women on boards.